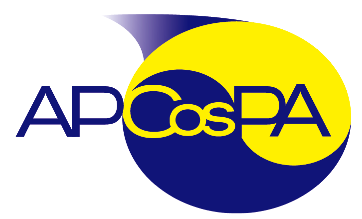 Asia Pacific Organization for Cosmology and Particle Astrophysics (APCosPA) was established in September 2010 when the Horiba Conference COSMO/CosPA 2010 was held in Tokyo. Since then, annual winter schools on cosmology and particle astrophysics were held in Taiwan for four years as well as the annual Symposium on Cosmology and Particle Astrophysics (CosPA) in Beijing, Taiwan, and Hawaii. Last year we organized a summer school in Matsumoto, Japan, as RESCEU-APCosPA Summer School on Cosmology and Particle Astrophysics instead of a winter school. Following its success, we are organizing the second RESCEU-APCosPA Summer School at Kinugawa Hot Spring in Nikko city in cooperation with the newly established Division for Astrophysics, Cosmology, and Gravitation (DACG) of The Association of Asia Pacific Physical Societies (AAPPS). We hope this school will promote research on cosmology and particle astrophysics in Asia Pacific encouraging young researchers and graduate students of the region. This school is an external activity of Asia Pacific Center for Theoretical Physics (APCTP).